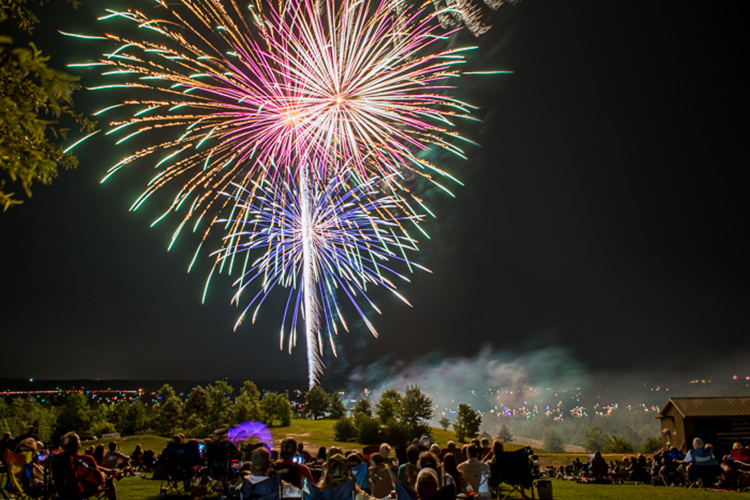 The Southeast’s LARGEST 4th of July Fireworks show will once again fire from The AMP on Lake Martin at 9pm! Come claim your spot on the Grassy Lawn before 5:45, that’s when The Bank Walkers will take the stage with some great Lake Martin based music! Around 7:45 we’ll have our Hula Hoop Contest and this year the Twist Contest will be back, with prizes for the best hooper and twister! Then around 8, from Gadsden, Alabama, we welcome The Tyn Tymes! This 10-member band recently, in 2018, was selected as the featured band for “Rock The River” which sold out weeks in advance. The band has played venues across the country and had a No. 1 single on the Northern Soul chart in England. The band has been a favorite on stages from San Diego, CA. to Myrtle Beach, SC. After the Fireworks, the Tyn Tymes will take the stage again and will play until 10:30. Come join us on the lawn at The AMP. Tickets are only $10.00 each and can be found on The AMP website.